It turns out the implementation of your electronic health record system (EHR) was the easy part. However expensive and arduous the implementation phase of your EHR system was, you now need to support it. Have you designed and established a functional support model? Are you struggling to provide support to your end-users? If you are struggling to manage and maintain these functions, there’s a reason. The implementation of the EHR was a capital expenditure for a one-time event, and more importantly, no live users were working in the system. Ongoing EHR support is real. It’s funded through operations. And it’s forever. 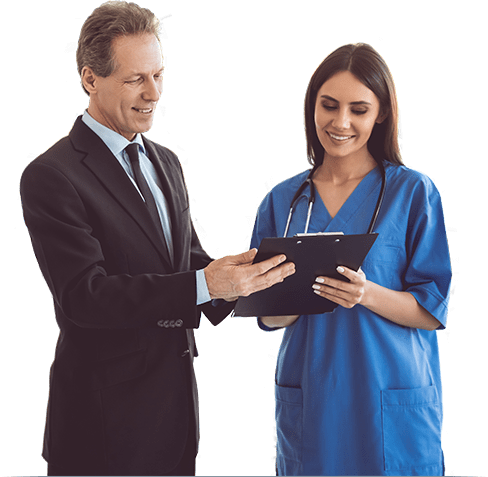 Optimum Healthcare IT takes a contemporary approach to the EHR support model, and it starts with a small, agile, dedicated group of EHR practice support specialists who are customer focused and workflow experts. We recognize that most user requests do not necessitate a system rebuild, but rather a guide on how to use the system as currently deployed to achieve their clinical and business objectives. EHR practice support specialists help make these distinctions. Direct application support is completed by highly-trained, certified Epic application coordinators who are unencumbered by day-to-day interaction with end-users. Optimum Healthcare IT’s Managed Services consultants recognize the difficulty many organizations are experiencing with on-going user and system support, regarding both quality and cost. EHR support is all-consuming to an IT department. The technology support of other organizational priorities such as ICD-10, telemedicine, patient engagement, population health, and predictive analytics are falling short. The Guthrie Clinic was one of the first hospitals to go-live with Epic CPOE in 2003. From 2003 onward, they implemented one module at a time. Previously, their help desk resources were sufficient to support smaller go-lives, and maintain everyday operations. Recently they decided to sunset their legacy revenue cycle software, and implement Epic. Learn how Guthrie maintained high revenue integrity and full schedules during their enterprise-wide revenue cycle implementation by partnering with Optimum Healthcare IT for help desk and call center support. Optimum Is The Trusted Partner You Want!